My good friend the Right Excellent Deputy Grand High Priest Sean McBride and I were heading to DeKalb on a road trip recently for degree work. 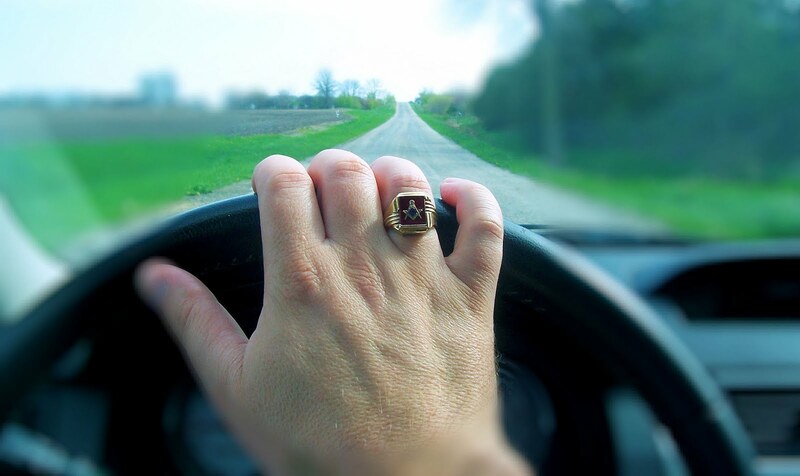 As we were talking I started thinking back to the beginning of my Masonic career thirty years ago, and some of those first road trips I took. About a month before I took my 3rd degree, my little girl decided she needed to come into this world. Needless to say, when I took my 3rd degree, I was a new father and relatively broke. The old guys knew we didn’t have much money but wanted me to join them on their road trips. One older brother took a liking to me and we traveled to all the degree work together. I'd never met this Brother before my first degree, but he attended all my degree work as I was going through. 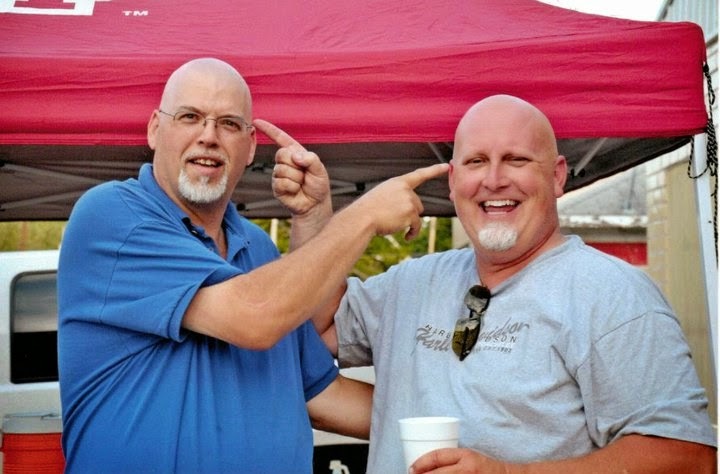 We rode together all over the state going to Masonic meetings and schools of instruction. Where he went, you'd find me riding along. I thought of him as a father, in fact, my kids called him grandpa. After a few years I became financially stable and tried to pay back my mentor for all those free rides he gave me. He said perhaps one day I could return the favor by doing the same thing--driving somebody else and sharing what I had learned. In 1988, I joined the Scottish Rite and wanted him to topline me. He said it would be better if someone from my Lodge did that, so that's what I did. That reunion, his son Rick, Doug Goodwine and I all became Scottish Right Masons, and his Scottish Rite riding buddies. After I joined he got me started in degrees, and a few years later, appointed me to the Rose Croix line at the Valley of Danville. I could spend hours telling and retelling stories of odd and funny things that happened to us over the years. Very happy memories for me. 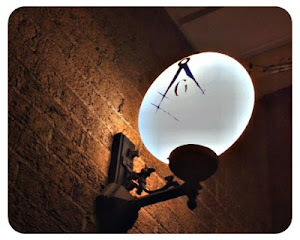 In 2005, when I received the 33˚ in Grand Rapids, he was too sick to travel. However, at my reception a few months later he presented me with my white hat. He said it was one of his proudest days. Cancer is a terrible, evil thing that makes the strongest weak and fragile. He spent the last few months surrounded by his friends and family. He took one last trip to Gatlinburg and to St. Louis to watch his Cardinals one more time. He died just as everyman would want . . . at home with his family. But we got one last ride together. I rode with him in the hearse on the way to the graveyard. Doug Goodwine was driving and I was riding shotgun just as he and I had so many times before. We talked all the way to the grave site. Yes, we had one last conversation with our mentor, G. Ellis Hamilton, during that last ride to his final resting place. 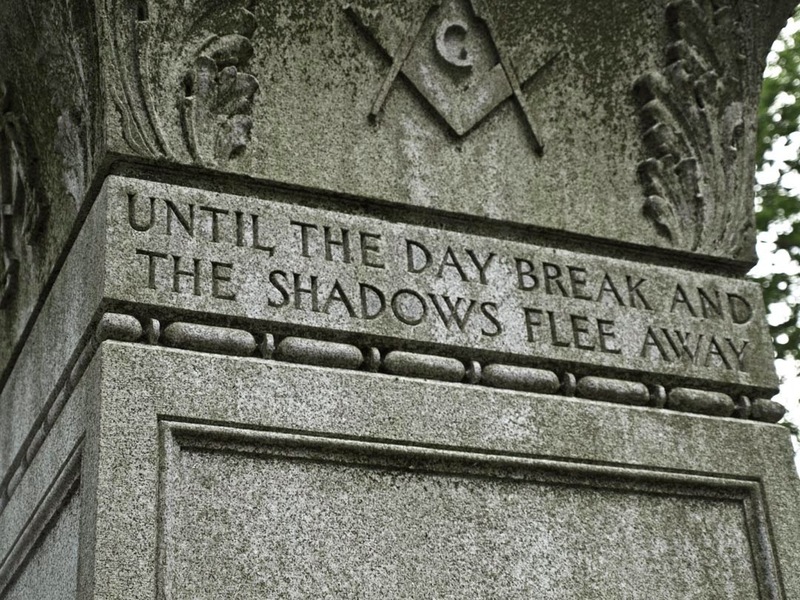 When people ask what Freemasonry is, it's not always an easy question to answer. But for me at least, this is what our Fraternity is all about. 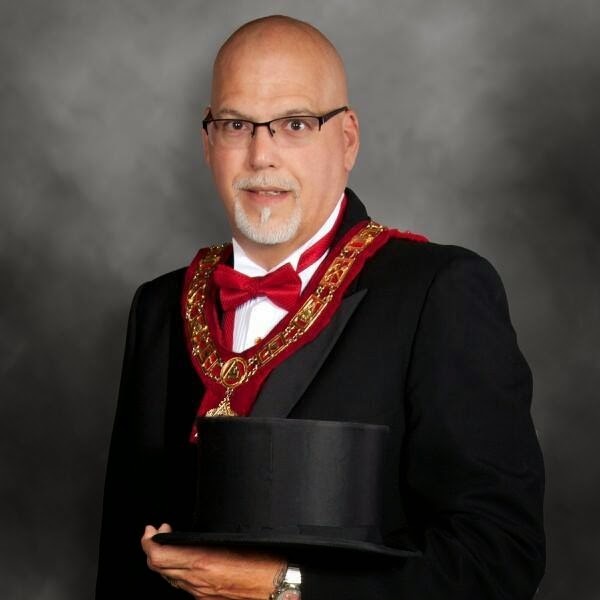 William J. Hussey currently serves as the Most Excellent Grand High Priest of the York Rite Grand Chapter of Illinois. He is the Past Master of Palestine Lodge No. 849 A.F. & A.M. Illinois. He is a member of the Ancient Accepted Scottish Rite Valley of Danville (IL) where he served as Most Wise Master of the George E. Burrow Chapter of the Rose Croix. The Valley of Danville honored him with the 33rd Degree in 2005. As a Past Master, Past High Priest, Past Thrice Illustrious Master, and Past Eminent Commander, Sir Knight Hussey was received into Illinois Priory No. 11 as a Knight of the York Cross of Honor on 28 July 2012.